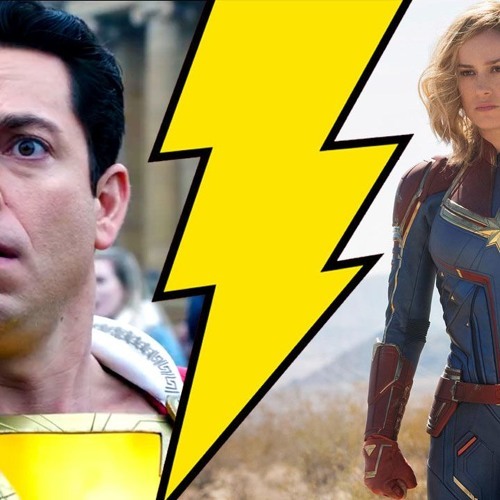 PODCAST | Captain Marvel vs Captain Mar...er #SHAZAM! Two franchises linked by name, cross-company rivalry & some pretty snazzy trailers... all being released within the next month! On tonight's episode we preview the new Marvel and DC flicks and pit the trailers against each other alongside transmedia guru Jeff Gomez from Starlight Productions. He also gives us exclusive inside dirt on the film having already seen it! PLUS: The boobirds are out in full force against #CaptainMarvel but the pre-sales are sky rocketing! Which side will come out on top as we preview Marvel's most controversial film to date.